His lawyers argued that New York's longstanding ban on civilian ownership of stun guns violated the Second Amendment right to bear arms. U.S. District Judge David Hurd agreed. "New York's sweeping prohibition on the possession and use of tasers and stun guns by all citizens for all purposes, even for self-defense in one's own home, must be declared unconstitutional," Hurd wrote in his decision. The lawsuit named the superintendent of the state police, the agency that enforces New York's weapons laws. New York attorney general's office, which defends the state in lawsuits, referred questions to state police or Democratic Gov. Andrew Cuomo's office. Cuomo adviser Richard Azzopardi said that state lawyers are reviewing the decision and that the governor is reserving comment. Illinois' Supreme Court made a similar stun gun ruling Thursday, deciding in favor of two men charged with carrying the weapons. 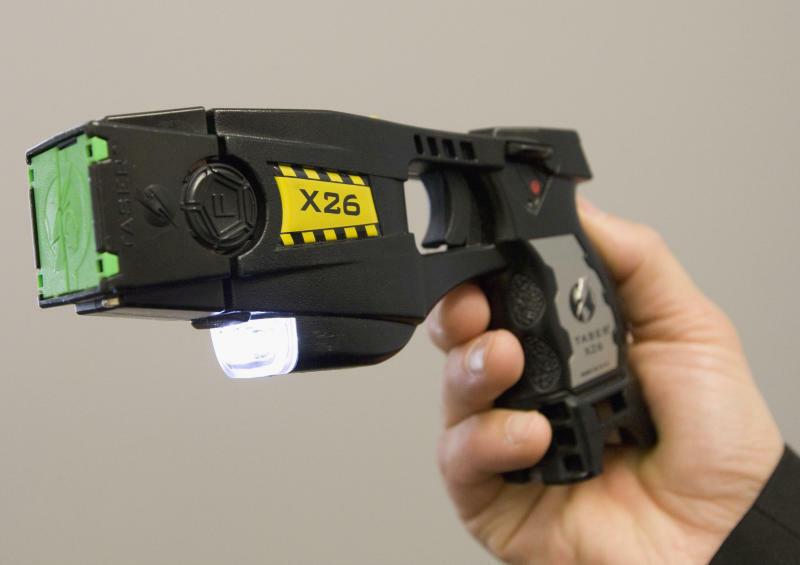 In New Jersey, a resident and the New Jersey Second Amendment Society sued the state in 2016 after Taser International declined his order for a Taser Pulse model because the state bans the sale of such merchandise. The following year the state's attorney general conceded the state's ban on electronic arms is unconstitutional. A Massachusetts court struck down that state's stun gun ban last year, also ruling that banning civilian possession of the weapons violates the U.S. Constitution's right to bear arms. "After that, the domino fell in the right way, and the rest of these cases became much more likely" to end with state bans overturned, said Alan Beck, of San Diego, one of two attorneys who filed Avitabile's lawsuit. The other, Stephen Stamboulieh, of Madison, Mississippi, said in all the cases the judges ruled that stun guns are "bearable arms" and therefore covered under protections guaranteed by the Second Amendment. "A right's a right," he said. "If it's a Taser, a billy club, a handgun, it's all protected by the Second Amendment." Stamboulieh said he and Beck have also filed lawsuits aiming to overturn stun gun bans in Hawaii and Rhode Island.